Christmas Day morning 1866: Jane Waterford waits to be removed to the City of London Lunatic Asylum. Days earlier, a mysterious woman had arrived in Jane’s home town on the River Thames, unnerving Jane’s lover, the melancholy Kathryn Lawton. Amidst her own rising terror and growing fears for Kathryn’s safety, Jane is desperate to discover the stranger’s identity. What is her claim on Kathryn and how is she connected to a tragic accident at Bawley Bay fifty years earlier? As Jane becomes increasingly alarmed that the calamity will be repeated, she is ensnared by a crime that will change her life forever. This is a lovely little novella with a mystery at the heart of it. Most of the story is told through a narrative of a letter by a young woman called Jane, recounting the tragic and bizarre events that led her to being institutionalised. Set in the 1800s, a lot of her troubles are compounded by the fact that she’s a woman with no living male relatives or husband to stand up for her – to make her even more vulnerable, she isn’t afraid to publicly go against the norm and live independently, she also happens to be in love with a woman. This is a recurring theme throughout the book, across both the timelines we read. I found the writing style to be a little inconsistent at times because the author was clearly trying hard to be historically accurate but sometimes Jane would express thoughts in her letters to men in positions of power that would only cause her trouble. She didn’t come across as stupid so it seemed a little out of character… she also seemed very quick to infer facts from and accept the strange things going on around her, I think I prefer a little bit more healthy scepticism in my heroines! That said, this was a cosy historical mystery with a dash of the paranormal thrown in (I’m trying so hard not to give anything away here). It was a bit of a slow burner so stick with it, even though it’s only a short book there are enough pages to make sure there’s a deliciously satisfying ending. Elizabeth M Cox has a PhD in English Literature and has worked as a University Academic Writing Tutor. She is a member of the Bardstown Writers’ Group in Stratford upon Avon and her short story ‘The Lake at Foxcote’ is published in their 2015 anthology, Chilled to the Bone. 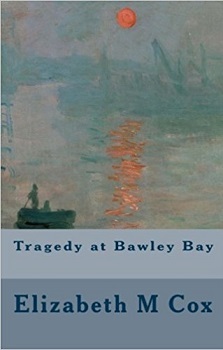 Tragedy at Bawley Bay is her debut novella. Elizabeth grew up near the North Kent town of Gravesend situated on the River Thames and lives in Warwickshire with her partner. Sounds like it would be an intriguing short read. I enjoy novella’s, may need to check this one out and add to my list! Thank you for sharing. 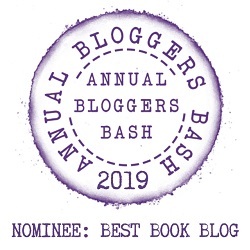 Lovely review, I am going to have to read this one. Thank you for sharing.